I am also proud to have developed beneficial relationships with lenders, inspectors, contractors, and a wide range of housing professionals. Whether you are purchasing real estate, selling real estate, or both…I ensure that you have the support you need to make to make sound decisions and receive the best deal possible. I will always go the extra mile for you! 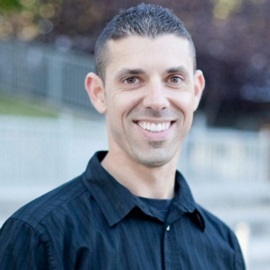 I specialize in helping my clients buy and sell real estate in Boise, Idaho. Boise is the largest city in Idaho. Boise is located in Ada County. 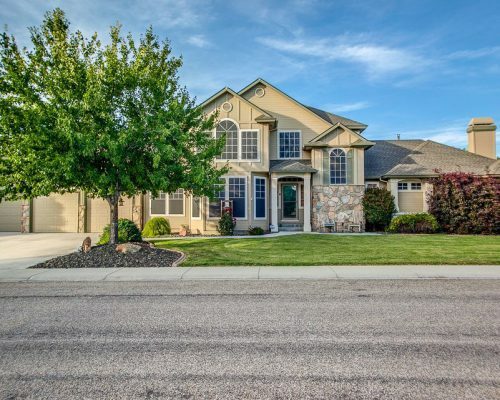 I also specialize in several smaller communities in Ada County that are just outside Boise, including Meridian. Meridian, Idaho was listed in Money Magazine’s List of Best Small Cities (2010), has a population of over 80,000 and is Idaho’s fastest growing city! 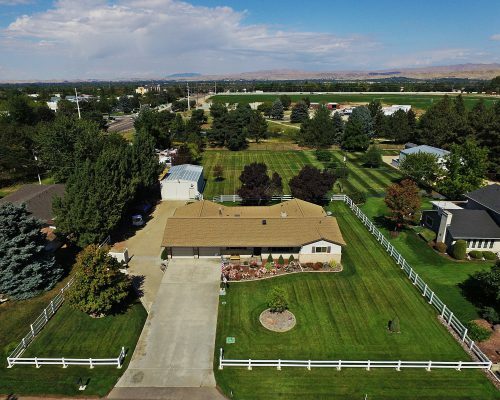 10 miles west of downtown Boise is the lovely community of Eagle, Idaho. 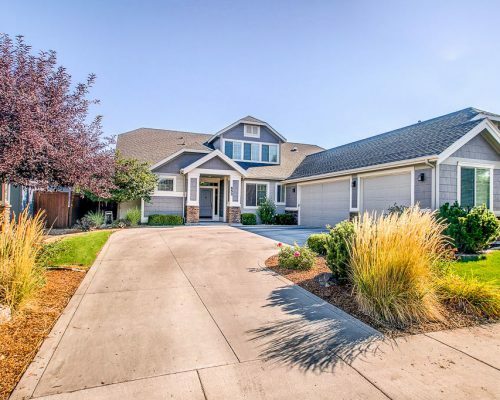 Eagle is located close to the Boise River, nestled in the Boise Foothills, and is just a short drive to both Boise and Meridian. Nampa, Idaho is situated just 20 miles outside of Boise. Much of Nampa is agricultural. This community, founded in 1913, also has a population of over 80,000. 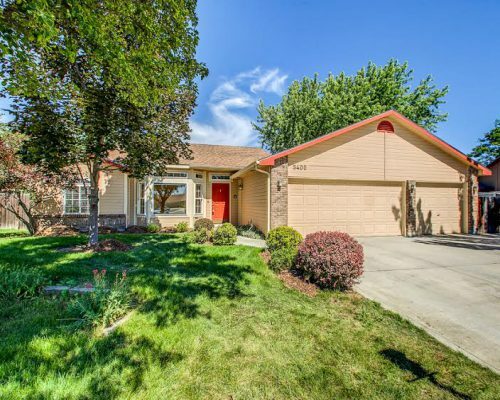 There are several other areas within the Boise area that I would love to show you, including Star, Kuna, Caldwell, and Middleton, Idaho. Knowing these communities so well helps me find the perfect homes for my clients. Because I understand the market in your area, I can properly market your home in order to get it sold quickly and for top market value. Taking the time to listen to your needs and dreams and work tirelessly to facilitate your goals without compromise is my top priority as a realtor. Whether you are buying, selling, interested in renting your home, or simply considering a move, I would be happy to speak with you and answer any questions you might have. I have lived in Idaho for 21 years and consider this area to be my true home. It is such a fantastic place to raise a family and I feel very fortunate to live here. I married my wife, Kerri, in 2007 and together we have two daughters who definitely keep life interesting! I enjoy experiencing everything Boise and the surrounding areas have to offer….snowboarding, boating, floating the Boise River, farmers markets, the parks, outdoor concerts….the list could go on and on. Enough about me…feel free to send me an email or give me a call and let me know about you and your family and how I can help you with your real estate needs! Single level stunner boasting superb finishes throughout. Incredible locale and updated with high end tile, concrete kitchen counter tops, custom cabinets, LED lighting and luxe bathrooms as well as a newer roof, windows and furnace. 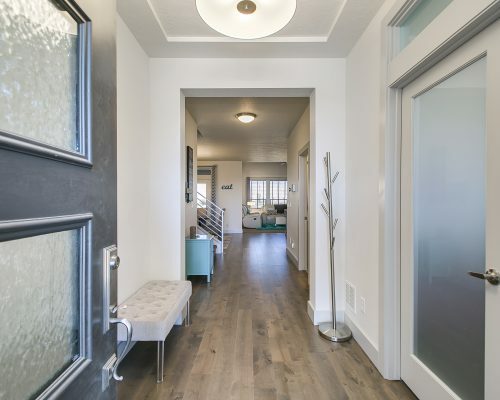 Beautiful hardwood floors and custom touches further enhance the appeal of this residence. Mature landscape, generous lot size and low cost capital water are just the icing on the cake! Spectacular model home boasting a true interior designers touch. Superbly designed for entertaining and updated with elegant finishes such as designer tile, deluxe appliances and slab granite enhancing a home that offers flexibility as well as total livability. Gorgeous mature landscape akin to your favorite park. 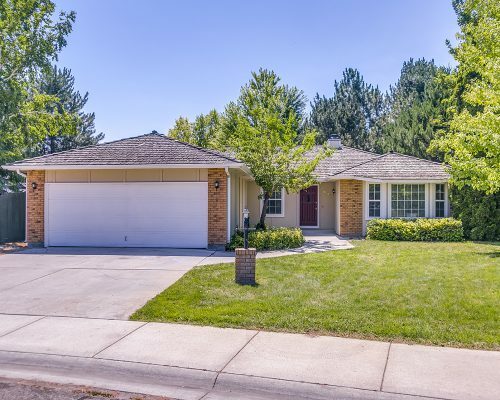 perfectly situated across from a community park and not far from the community pool all while offering newer exterior paint and one of the most desirable communities in Meridian. Breathtaking Berkeley Built home in a premier South Meridian community. Hardwood spans the entertaining spaces while elegant finishes such as designer tile and slab quartz enhance a thoughtfully designed floor plan that offers flexibility as well as total livability. There’s an over-sized outdoor living space offering intentional landscape design with a custom fire pit and no rear neighbors. This gorgeous Energy Star home is perfectly situated across from a park and not far from the community pool. Beautiful single level home in an established neighborhood. Well maintained and offering close proximity to schools as well as mature landscape, newer roof, windows, garage doors, exterior siding, appliances, tile flooring and fresh interior paint. RV parking, large storage shed and a huge fully fenced backyard with covered a patio. Oversized garage with an additional shop area and the home and carpets have just been professionally cleaned. First time on the market! Incredible opportunity to own this single level home in a dynamite location. Situated on a non-through street with no rear neighbors. 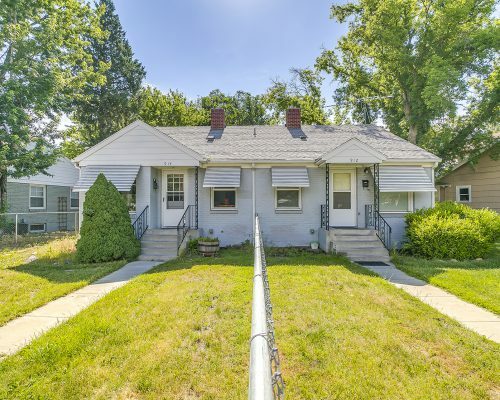 This home has been meticulously maintained by it’s original owners and features a newer roof, windows, HVAC, 2 water heaters, siding, carpet, solar attic fan and increased insulation. Oversized garage with additional climate controlled work area and a 25×40 detached shop for all of the tools and toys. 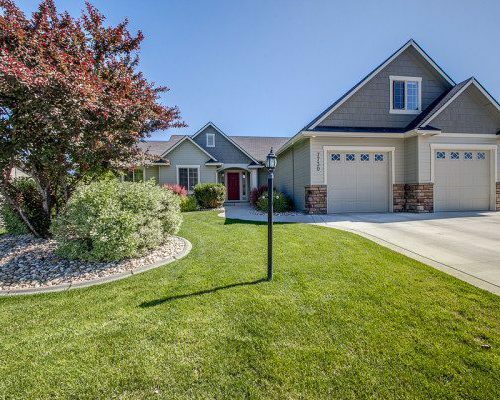 Amazing single level home on Lakeview golf course! Highly sought after great room floor plan featuring lots of windows, a brick fireplace and newer furnace, A/C, interior paint & flooring throughout. 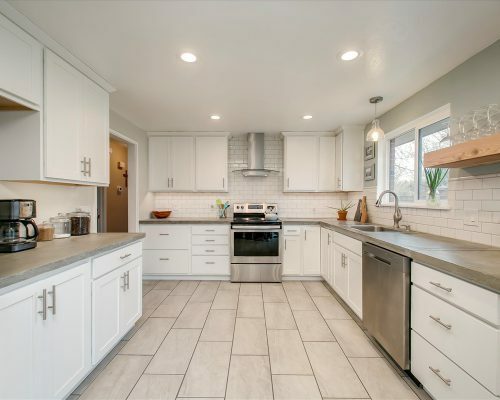 Beautiful kitchen with newer stainless steel appliances and plenty of counter space. The large master suite offers a walk-in closet and the master bath features dual vanities. The laundry room has a sink as well as lots of cabinets for storage. The back patio, covered side patio & mature landscape are perfect for summer BBQ’s and entertaining. 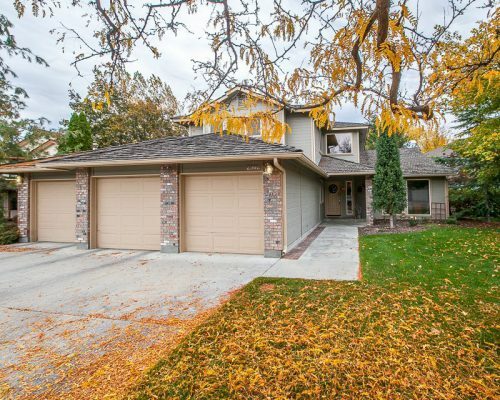 Fantastic Boise duplex with excellent rental history. 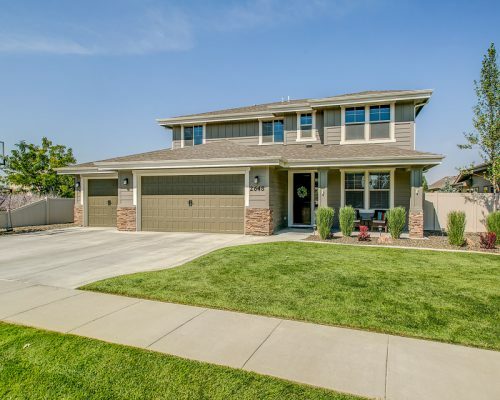 Located less than 1 mile from the Boise Whitewater park, Esther Simplot Park, Elm Grove Park and Fairview Park which feature playgrounds, basketball courts, tennis courts, and picnic areas. Less than 1.5 miles from Camels Back and Hyde Park. Close to the bus route, shopping, dining and freeway access. Both units have hardwood floors, lots of room for storage and include refrigerator and washer & dryer. Newer HVAC, interior paint and full fencing. The property features a walk-out basement, detached 2 car garage as well as RV and additional parking. Incredible opportunity to own a single level North End home with permitted detached cottage/guest house. Total is 3 bed 2.5 bath 1,511 sq ft. The main house has new HVAC with warranty. Located less than 1 mile from Sunset Park and Elm Grove park which offer tennis courts, basketball courts, sports fields and playgrounds and less than 1.5 miles from Camels Back and Hyde Park! RV parking and close to entertainment, dining, shopping and downtown as well as freeway access. Set in one of the most desirable locations in the valley, this custom Zach Evans home is a perfect blend of unmatched style and comfort. The kitchen offers an expansive island, European ceiling height cabinets and high end stainless appliances including double ovens. The master suite has a true spa-like master bath boasting a tile walk-in double head shower, free standing tub and a closet to die for. All bedrooms are oversized and en-suite and there’s a bonus/theater room. The garage is over 1,500 sq ft and the park like landscape is just stunning. Incredible opportunity in Karney Lakes! 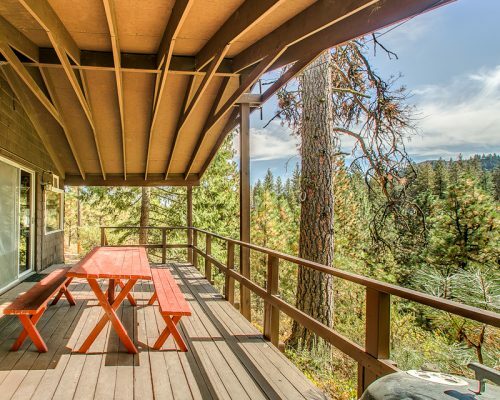 One of only 29 cabins offering 3 season living and a true escape with spectacular views, hiking trails, flume walk, wildlife and more only 30 minutes from Boise. 420 acres owned by the association that includes private lakes in a gated community with a full time year round caretaker. 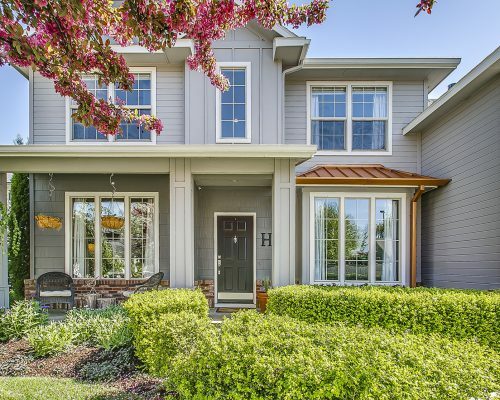 Amazing Energy Star home in a premier Meridian community. Sought after great room plan featuring newly refinished hardwood floors that span the entertaining spaces. This functional floor plan flows effortlessly with a chefs kitchen offering high end stainless appliances including fridge, granite counters and a large island. The spacious main level master suite has its own patio access, his & her closets and a gorgeous master bath. The upper level hosts two additional bedrooms as well as a bonus room and full bathroom with dual vanity. Tucked away on a quiet centrally located cul-de-sac. Almost 1/3 acre and boasting hardwood floors, new carpet and new interior paint. In addition to the fireplace with wood stove insert and patio access, the living room has skylights and floor to ceiling windows for lots of natural light. The kitchen offers an island, breakfast bar and extensive storage and counter space. The master is oversized and amazing with floor to ceiling windows, his and hers bathrooms, a large walk-in closet and patio access. The yard is fenced and has a storage shed and garden space. The carport offers tons of locking storage with power and there are no CC&R’s. 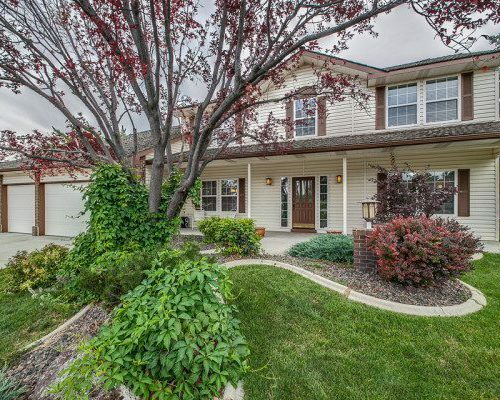 Amazing Brighton home in Paramount, one of the most desired Meridian communities. Sought after great room plan featuring a split-bed design that flows effortlessly while hardwood floors span the entertaining spaces. The Chefs kitchen offers high end stainless appliances including 5 burner stove as well as plenty of cabinet and counter space. A spacious master suite with a coved ceiling, patio access and a gorgeous master bath with dual vanity and a tiled walk-in shower. 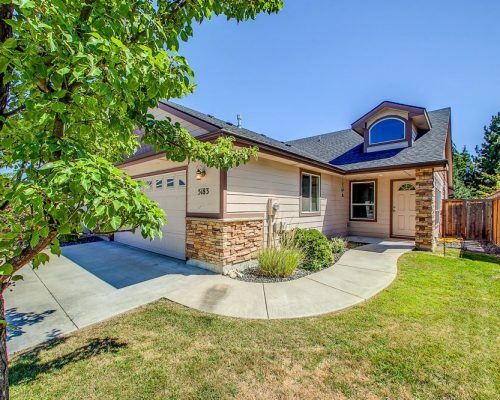 Newer exterior paint, no back neighbors, a garage that fits a full size crew cab truck and the upper level hosts an additional bed/bonus room with full bath and walk-in closet. Flooring allowance available! 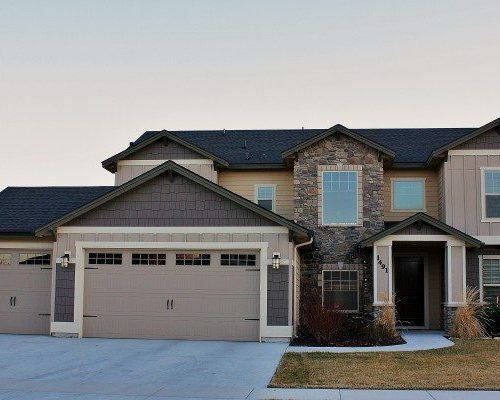 Gorgeous energy star home with a versatile floor plan that can be a 5 or 6 bed home! Boasting wood plank hand scraped tile flooring, granite counters, upgraded wood work & a chefs kitchen with high end SS appliances including new double oven & fridge. Main level office/guest room sits next to a 3/4 bath. Flex room off the kitchen can be a bedroom or play room & there’s a secret room downstairs that the kids will love! 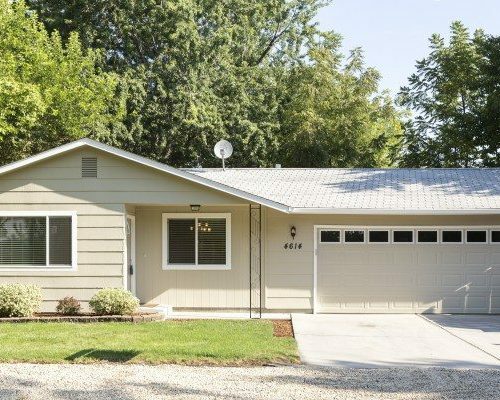 Insulated garage with epoxied floor, fenced yard, low maintenance landscape and more! 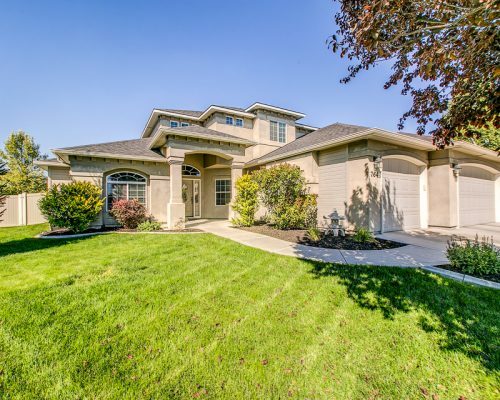 Spectacular Meridian home set on almost 1/4 acre. Boasting a dramatic two story entry and hardwood floors that span through the entertaining spaces in addition to all of the amenities you would expect from a home of this caliber. The gourmet kitchen features granite, premier stainless appliances, pot filler and custom finishes. The spacious main level master suite with walk-in closet and luxurious master bath offers a large soaker tub, dual vanity and a tile shower. There’s a main level office/4th bed plus a formal flex space. The upper level hosts two additional bedrooms with walk-in closets, a bonus/loft area and a full bathroom. All three schools and Settler’s Park are within walking distance, making this home the perfect package! Unbelievable opportunity to own a gorgeous 3 bed, 2.5 bath townhouse in sought after location. The gourmet kitchen overlooks the great room with 3 sided fire place and is fitted with designer cabinetry, stainless steel appliances, granite counters and a large walk-in pantry. New interior paint, carpet/pad and refinished hardwood floors. Upstairs hosts a bonus room with wet bar, ½ bath and balcony. Built-in work station, upgraded mill work and a fully fenced private back yard with a covered patio stubbed for a gas BBQ. Don’t miss out on this amazing property! 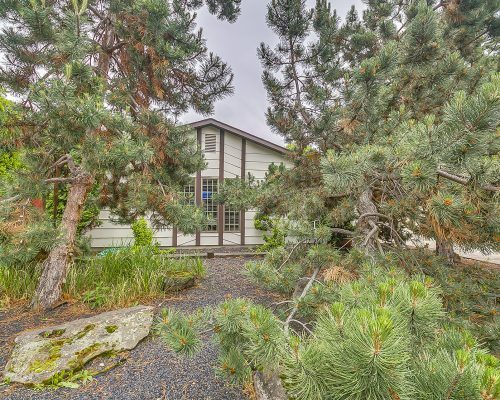 Incredible home on nearly half an acre in a premier location! Desirable great room floor plan with tons of updates including granite, carpet, interior paint, roof and siding. Offering both formal and informal living and dining spaces, a vaulted ceiling, lots of windows and two fireplaces. The spacious master suite has a walk-in closet as well as a seating area. There’s also fully fenced private back yard, RV parking, full sprinklers front and rear, a huge heated 3 car garage and more! 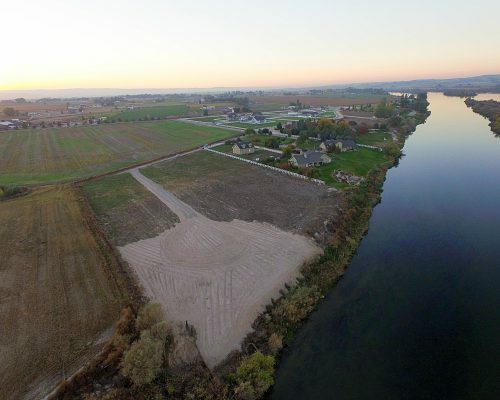 This beautiful riverfront lot is in the perfect private setting to build your dream home! Offering spectacular views of the Snake River, Lizard Butte and the Owyhee Mountains. Owner will carry with negotiable terms. 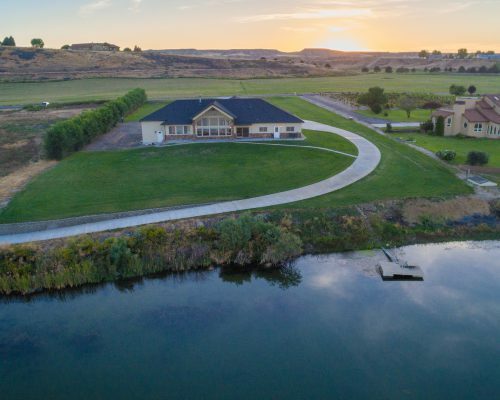 Upon entering this unbelievable water front estate your eyes are immediately drawn through the great room with exposed beams & massive vaulted ceiling to the breath taking views of the Snake River. This custom home offers generous sized rooms & upscale finishes throughout including tile, slab granite, SS appliances & crown. 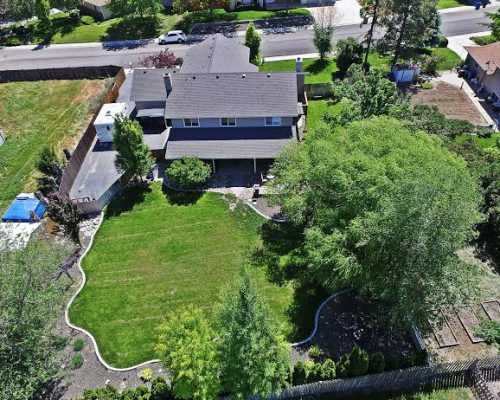 Built with efficiency in mind & featuring a conditioned crawl space, stucco & stone exterior, fully irrigated grounds, an oversized garage & an RV garage all in the heart of wine country! Immaculate Sportsman Pointe home perfectly designed for entertaining with an in-ground pool and covered patio. Huge master suite, large bedrooms, second living room/office and ample storage throughout. The kitchen offers plenty of cabinets and counter space while being open to the great room with vaulted ceiling and a gas fireplace that overlooks the pool. 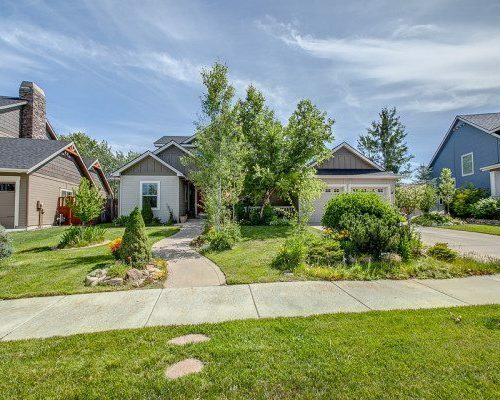 Fully fenced yard, low maintenance landscape, full sprinklers, new hardwood floors, central vac and the location provides an easy commute to anywhere. Super clean townhome in a dynamite location! Open great room concept with a fireplace and a vaulted ceiling with exposed beam. Tons of updates including new windows, flooring, interior paint, garage door, dishwasher, water heater and more. Minutes from shopping, dining and downtown. 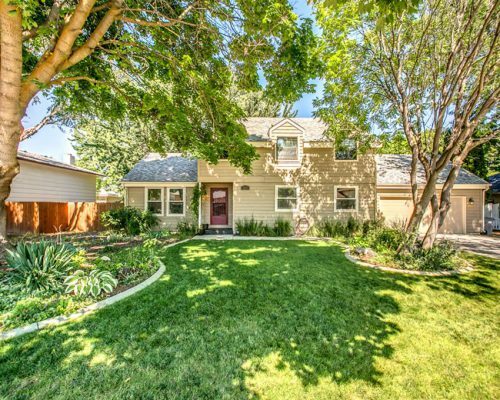 Fully fenced yard, East facing patio, full sprinklers and no rear neighbors! Amazing single level home in a premier location! Desirable great room floor plan featuring a split-bedroom design with vaulted ceilings, lots of windows and a gas fireplace. Large master suite with walk-in closet, patio access and a spa like master bath with full tile walk-in shower and dual vessel sinks. The central location offers easy access to the greenbelt, shopping and dining. 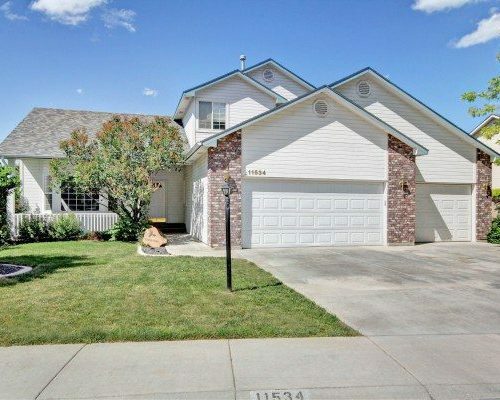 Fully fenced East facing back yard, full sprinklers front and rear and a huge 3 car garage. Exquisite home with brand new roof in sought after Pier Pointe. Perfect for entertaining with the gourmet kitchen open to the living room and featuring slab granite, ample cabinets and a Wolf range. The spacious master suite has a vaulted ceiling, large walk-in closet and a luxurious master bath with free standing tub, dual vanity and walk-in tile shower. An additional living and dining area as well as the private East facing backyard with pergola covered patio offer plenty of space for relaxing. Spectacular Eagle Springs home set on almost 1/2 acre. Hardwood floors span through the entertaining spaces and compliment the cabinetry, built-ins and plantation shutters. Stunning gourmet kitchen featuring an island with prep sink, premier SS appliances and custom finishes. The private and spacious main level master suite with large walk-in closet and luxurious master bath features a dual sided fireplace, large soaking tub, dual vanity and walk-in tile shower. The upper level hosts 3 additional bedrooms, bonus room and 2 bathrooms. Welcome to your secluded hideaway. 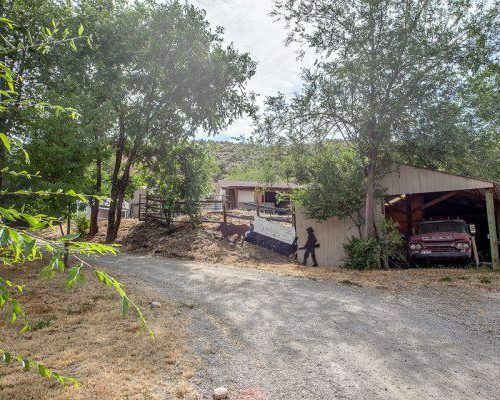 Nestled in a hillside park-like setting with spectacular valley views and only 15 min from Eagle. 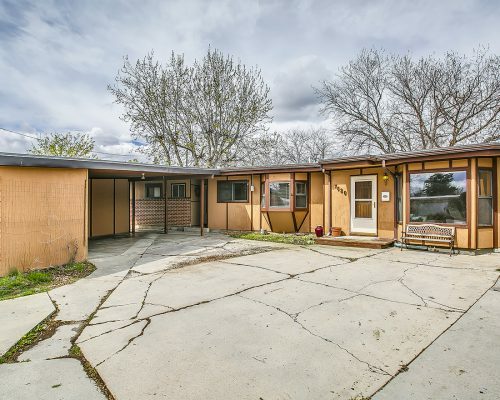 Featuring an incredible main level master with sitting area, large living area with views of Bogus, newer plumbing, electrical and remodeled kitchen as well as new commercial grade well pump and pressure tank. Plenty of room for storage and toys with RV parking, a 24×20 garage with unfinished workshop above, 2 carports, 20×20 shop with 12×20 stable, 19×22 hay storage and more! This immaculate Meridian Greens home is perfectly designed for entertaining and gatherings. New interior paint, light fixtures, fans and hardware as well as a remodeled master bath. The kitchen offers plenty of cabinets and counter space while being open to the great room and formal dining room. Large bedrooms, second living room/den and lots of storage throughout. Nice private backyard with mature landscape and a covered patio. 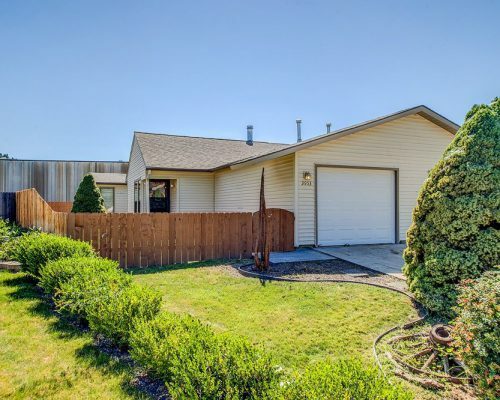 Huge garage, RV parking and the location provides an easy commute to anywhere. Awesome opportunity to own a custom Hidden Springs home on a premier lot! Park located across the street and the back overlooks acres of protected open space. Open and flexible floor plan featuring a main level master and in-law quarters, great room with built-ins and gas fireplace, large kitchen with island and SS Kitchen Aid appliances, upgraded millwork throughout, dual zone HVAC, bonus room as well as rec/craft/workout room and the upstairs bedroom is framed so it can easily be turned into two bedrooms! Immaculately maintained one owner home with 3 bedrooms, 2 bathrooms and a large bonus room. Hardwood floors and vaulted ceiling in the entry, kitchen and dining areas as well as vaulted ceilings and a gas fireplace in the great room. 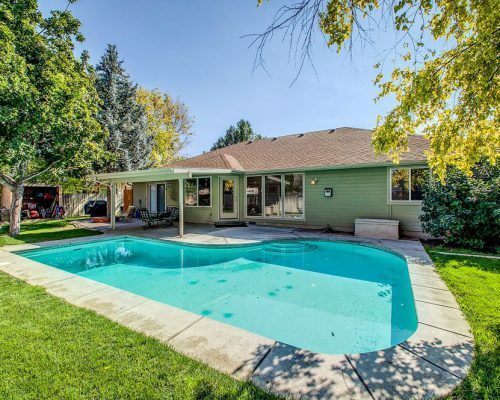 Beautiful landscape, full sprinklers and a nice fully fenced North facing backyard with no rear neighbors. New exterior paint, carpets just cleaned and the home is professionally cleaned weekly. It doesn’t get any better than this home! Perfectly maintained Energy Star home. The kitchen has slab granite, walk-in pantry and Kenmore elite stainless appliances including double ovens and refrigerator. The large main level master suite has a luxurious master bath featuring dual vanities, a soaker tub and tiled walk-in shower. You will also find a grand two story foyer and great room with fireplace, art niches, alarm system, dual zone HVAC, water softener, solid hardwood and tile floors, granite throughout, as well as a cul-de-sac location that really sets this home apart from the rest! 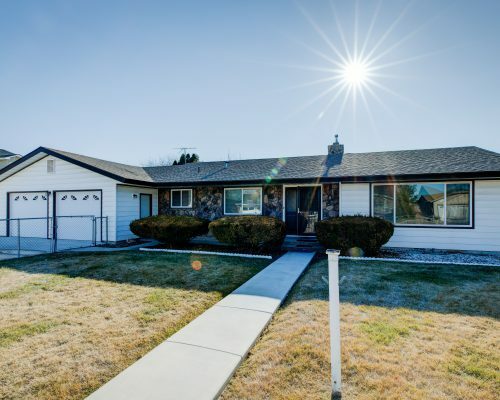 Fully remodeled home in a dynamite location! Close to shopping, parks and the greenbelt. 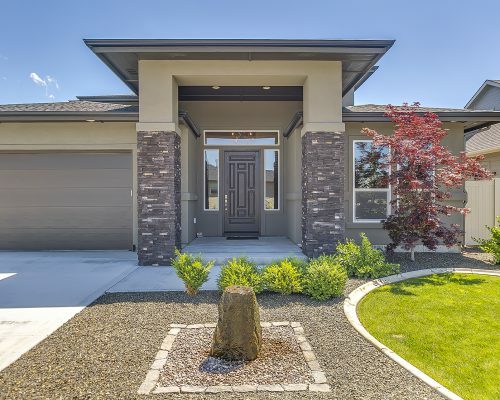 Featuring new windows, carpet and pad, interior and exterior paint, hardware, light fixtures, counter tops, backsplashes, garage door, as well as custom vanities in the bathrooms. Irrigation available at $48 per year. Great open floor plan with vaulted ceilings and room to roam. Large kitchen with plenty of cupboards, counter space and a walk in pantry. The master suite has an exterior balcony, spacious master bath w/separate shower, jetted soaker tub, dual vanities and walk in closet. Family room with a gas fireplace and a formal living room with bay window. Oversized 3 car garage with an additional 11×7 area for a workshop. Fully fenced North facing backyard as well as close to shopping, dining, entertainment and freeway access.